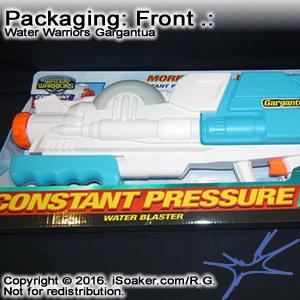 The Water Warriors Gargantua is the largest, elastic-based water blaster released by Alex Brands Buzz Bee Toys Holdings for 2016. 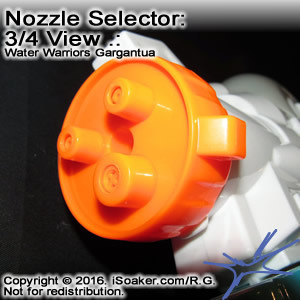 Despite its appearance, the Gargantua features a small, but full-bladder elastic chamber akin to the Super Soaker SC 500 (1999) that easily powers any of its nozzle selector's three settings (two stream and one burst setting). 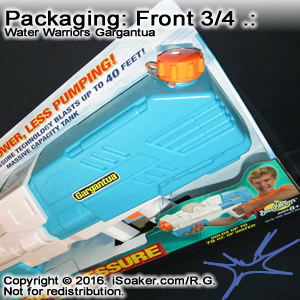 Like most Water Warriors-brand products, the Water Warriors Gargantua is mostly visible in its packaging. 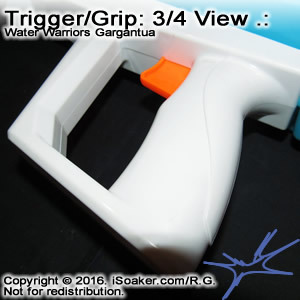 The part most obscured by the box is the Gargantua's trigger/grip region due to the size and placement of the "lifestyle" user image. 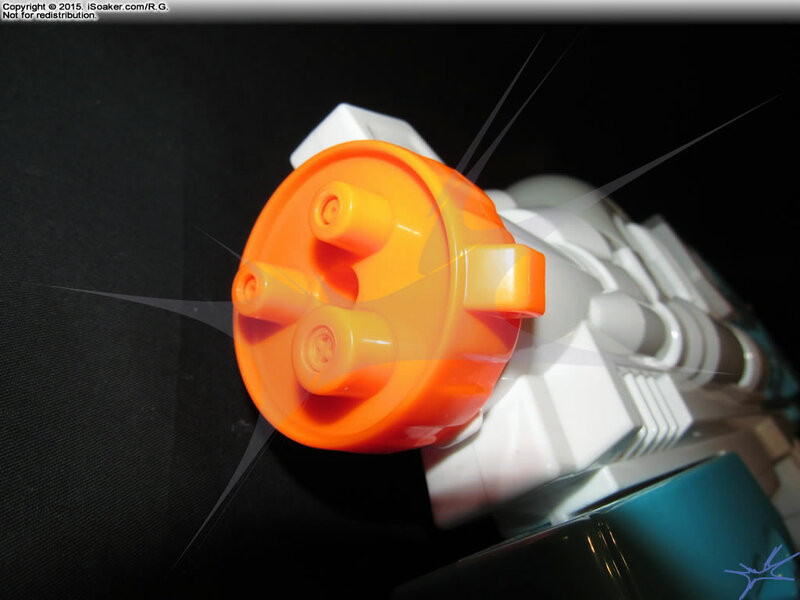 The nozzle selector and reservoir cap are readily inspected. 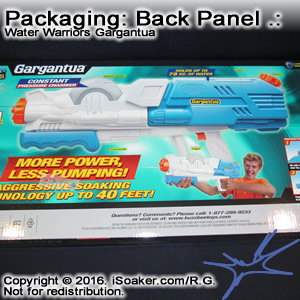 On the back panel, a labeled graphic of the Water Warriors Gargantua is shown with various parts labeled. 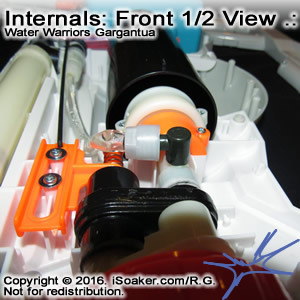 Some general instructions on how to operate this water blaster are included as well as previews of a few other Water Warriors-brand products presumably also available in stores for 2016. 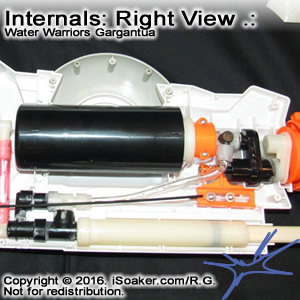 The Water Warriors Gargantua design appears like a mix of older Water Warriors styling with some technical details, going from its bulbous forward section to its decorated reservoir with additional detailing. 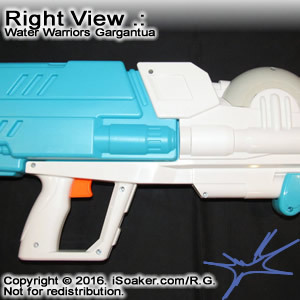 At first impression, the Gargantua appears to be a more slender version of the Water Warriors Waterlord, but not all is as it seems. 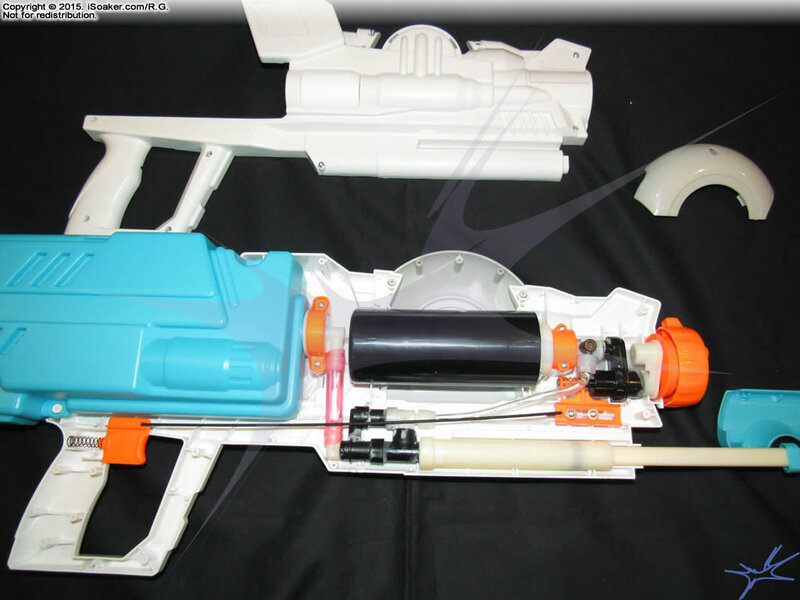 A little internal exploration revealed an unexpected surprise - the forward bulb is purely ornamental and the Gargantua does NOT use a diaphragm system, rather it contains a small, albeit full elastic bladder pressurization system more like the original Super Soaker SC 500! 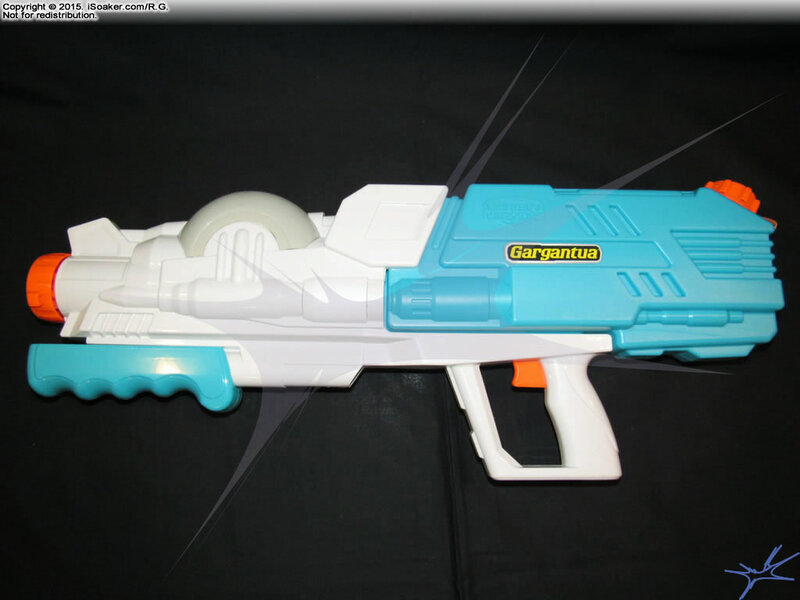 Whether the Gargantua was initially intended to use a diaphragm system and changed later remains unknown. 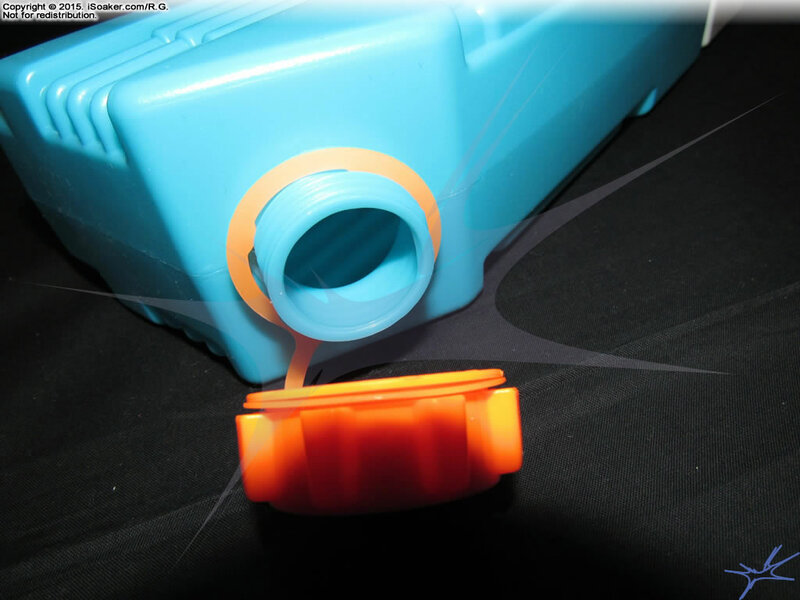 Though this small chamber is far from the legendary Cuper Soaker CPS 2000's chamber size, it does offer better responsiveness and performance compared to elastic diaphragm-based systems. 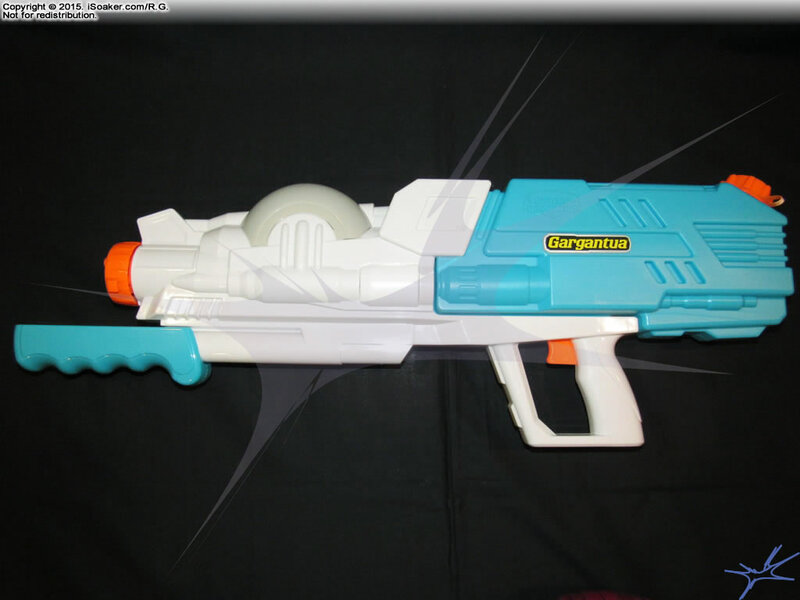 The Gargantua is made from decent quality plastic and feels sturdy, but not overly heavy. 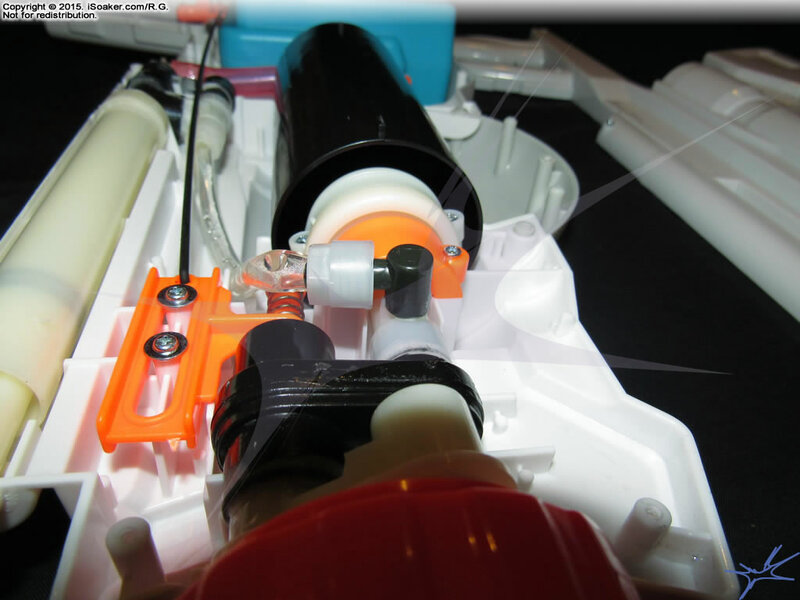 The pump grip possesses decent ridging and pumps smoothly. 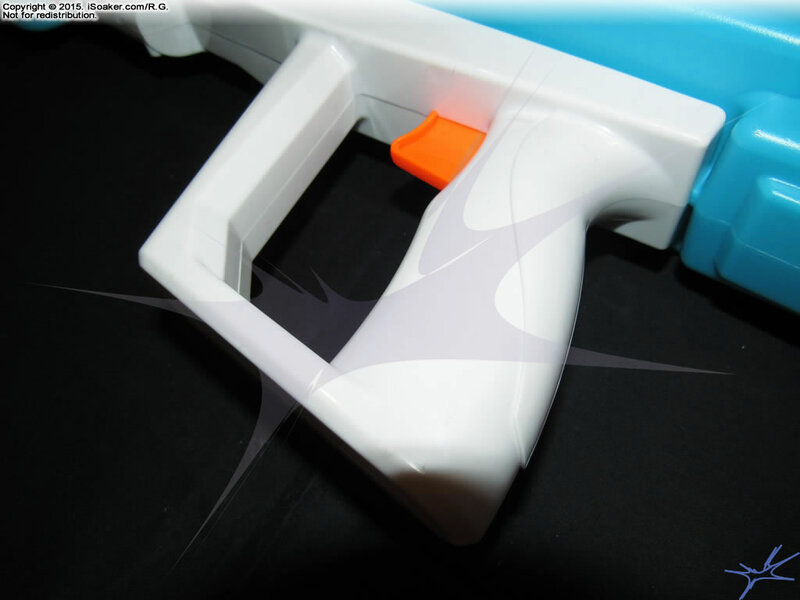 The trigger/grip area is enclosed, partly for looks and partly for strength. 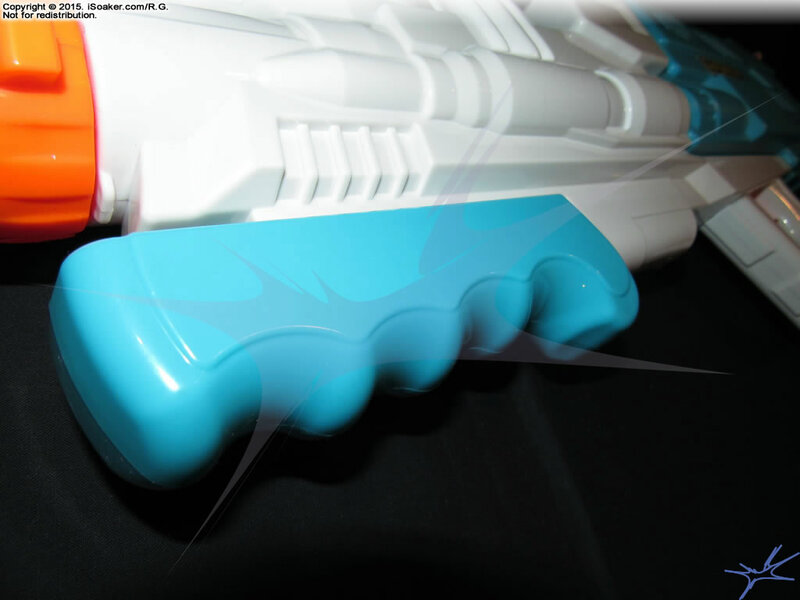 This fixed space between the underside of the reservoir and bottom of the trigger/grip region is ok, but those with larger hands may find it slightly cramped. 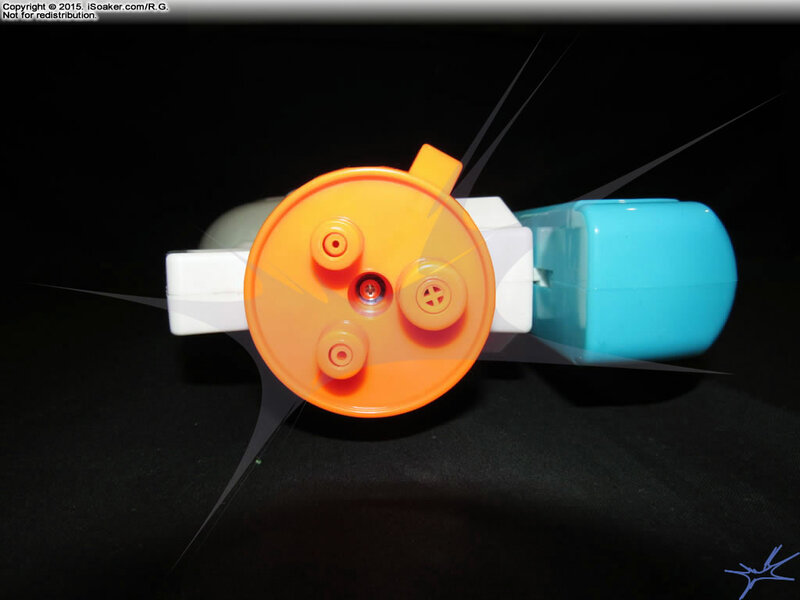 Alignment between both halves of the shell is decent, but there is some plastic ridging in parts that extend out and may feel rough. 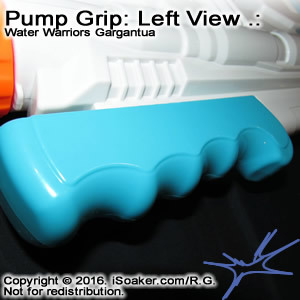 The position of the trigger/grip region versus the Gargantua's reservoir results in a well-balanced water blaster, both when the blaster is filled or nearly empty. 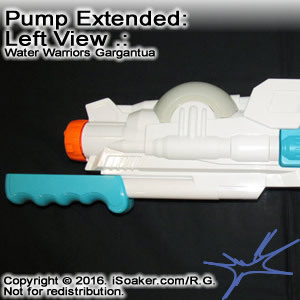 Once pumped and pressurized, one-handed operation is possible, though the Gargantua's short shot time means one will likely need to repump after a brief shot or two. 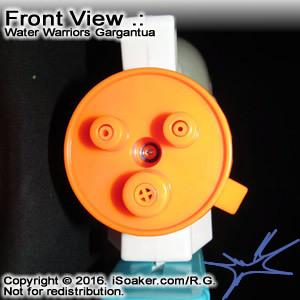 The Water Warriors Gargantua is a solid addition to the Water Warriors line. 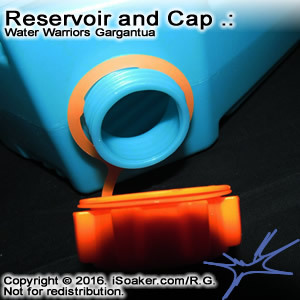 Its full-elastic bladder pressure chamber easily powers any of its stream or burst settings. 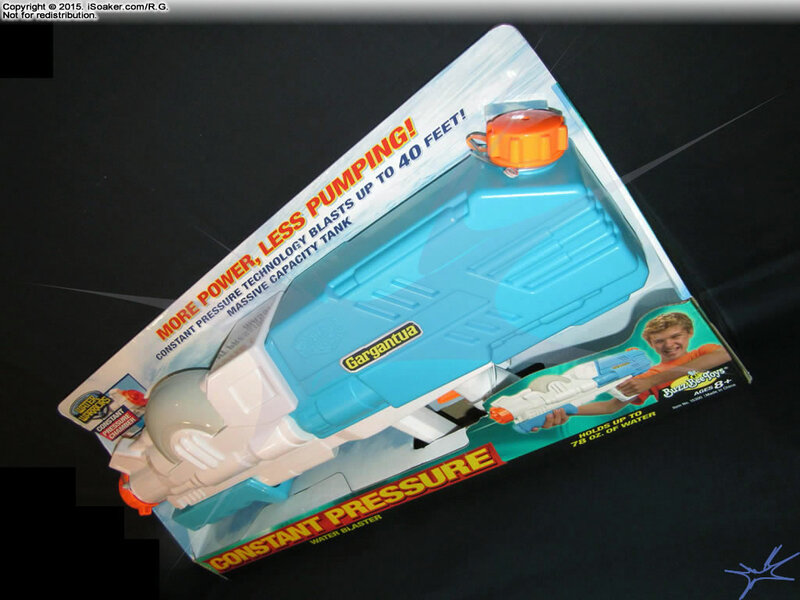 Although it would have been nice were its elastic pressure chamber were larger, streams produced pack good power and Gargantua is quickly and easily repressurized after each shot. 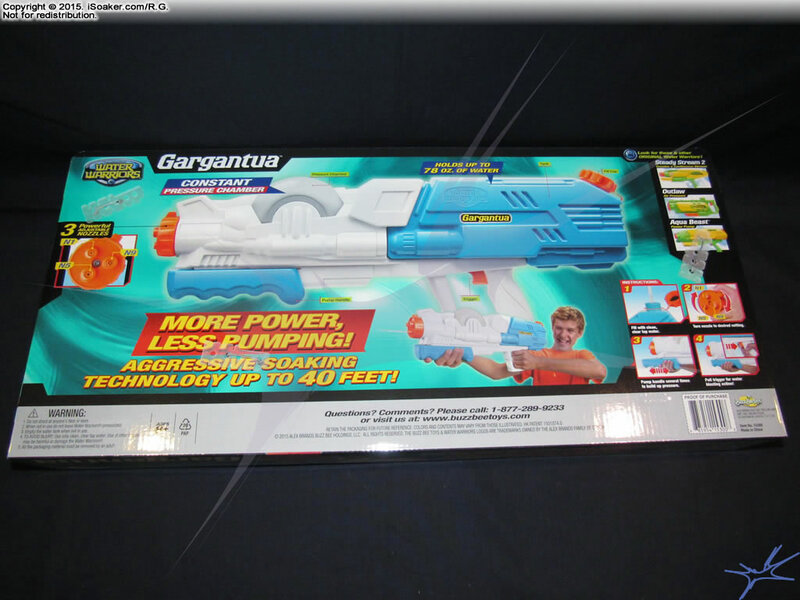 Granted, the Gargantua is not without some short comings including noticable pump lag, constrained trigger-grip region and, of course, its rather small pressure chamber volume. 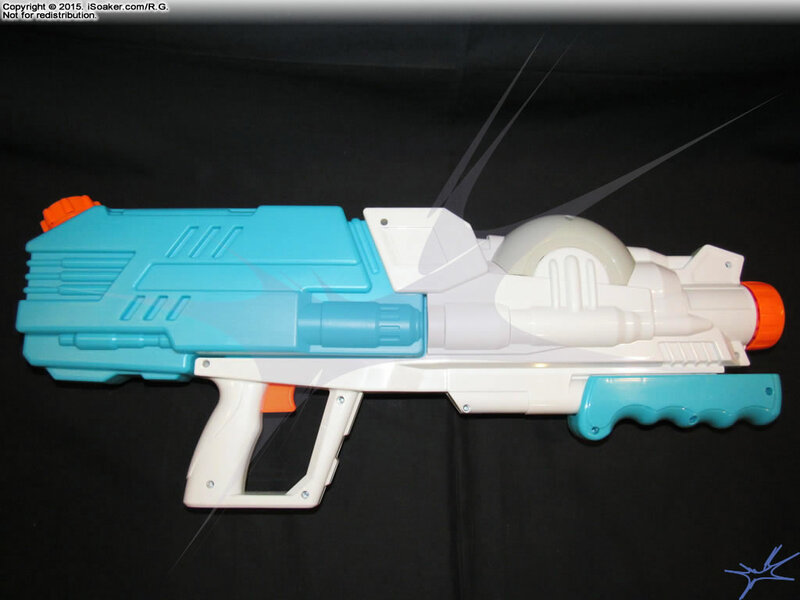 However, the return of full-elastic-bladder-based water blasters is a most welcome sight! 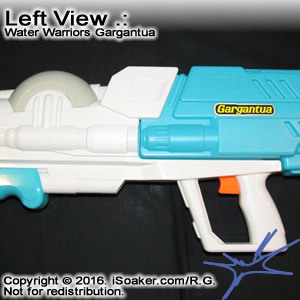 Able to hold its own against most air and small-to-mid-sized elastic-based water blasters, the Water Warriors Gargantua makes for a good addition to most armouries. 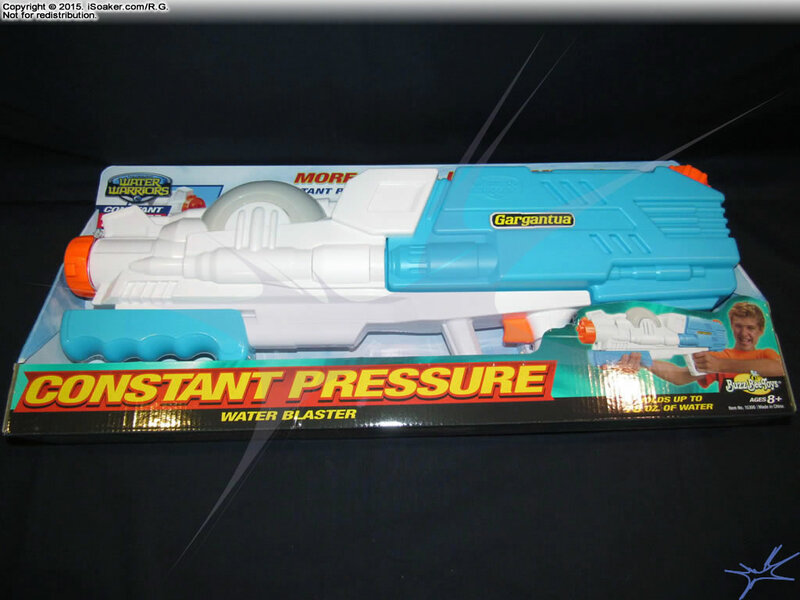 Of course, one must remain wary of high-output air pressure and the larger, higher-output elastic-pressure-based water blasters out there.